The first half of the 2015/16 Bundesliga season will go down in history. A whole host of records were smashed in one of the most spectacular Hinrunden of all time. But who were the standout coaches? You picked Thomas Tuchel. Borussia Dortmund boss Tuchel came out on top in the @bundesliga_EN poll, finishing ahead of FC Bayern München counterpart Pep Guardiola. 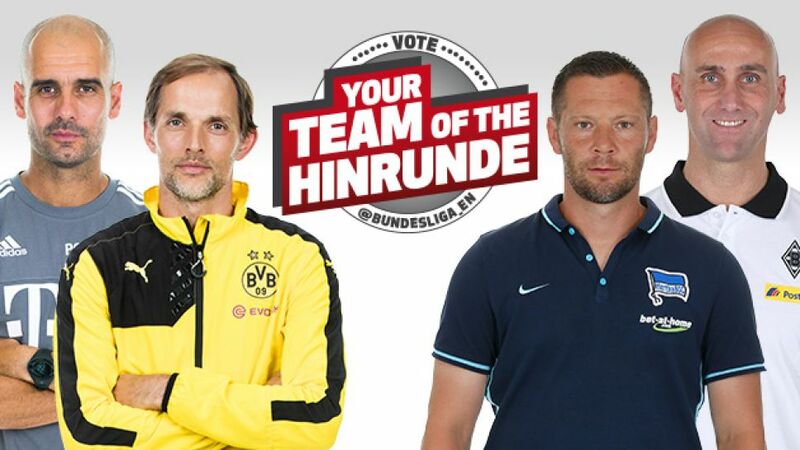 It was Hertha Berlin boss Pal Dardai who overwhelmingly won the favours of the @bundesliga_de voters for his efforts in taking the capital club into third at the halfway stage, but Tuchel's 19 per cent in that poll was enough to earn him the place in the dug-out.